Bhutan has received a total of US$52.9 million over the past 36 years from the International Fund for Agricultural Development (IFAD) for investment in seven projects and programmes in the country. Five of those projects were solely dedicated in the six eastern Dzongkhags where rural poverty is found to be most acute. The projects were implemented with the overall goal to reduce poverty and improve food security in the rural areas. Market Access & Growth Intensification Project (MAGIP) is one of the IFAD funded projects that was recently completed. The implementation of MAGIP began in 2011, and while it was completed in June 2016 it was formally closed later that year in December. The objective of the project was to improve the productivity of subsistence-based farming systems in communities without road access, and to intensify the production of cash crops and dairy products while enhancing smallholders’ access to markets in communities with road access. The total project cost was USD 13.5 million. This was financed by an IFAD loan of USD 8.49 million, an IFAD grant of USD 2.0 million, a contribution of USD 1.99 million by the Royal Government of Bhutan (RGoB), beneficiaries contribution of USD 0.86 million, and a grant from SNV of USD 0.171 million for TA and capacity building. MAGIP and past IFAD-supported projects have brought about significant development to the six eastern Dzongkhags. The projects mainly focused on increased agriculture and livestock productions, enabling farmers, mostly smallholders, to increasingly adopt improved practices, leading to better living standards and increased income through improved access to road networks and markets. The impacts of these projects are diverse and numerous. The projects have enabled farmers to add various physical and household assets; have equitable access to inputs and community infrastructures including the irrigation facilities and farm roads; improve food security with intensified production of vegetables, cereals (maize & paddy) and with dairy and poultry products; and acquire knowledge and skills in production, farm management, and better social capital through various grassroots organizations. The following two stories, among many others, demonstrate the impact and changes brought about by MAGIP to the lives of farmers and local communities in Eastern Bhutan. The Off-season Vegetable Programme (OVP) was initiated in July 2011 under MAGIP in the six Eastern Dzongkhags. The aim of the programme was to enhance farmer’s cash income through large-scale vegetable production and marketing. The key players of the OVP were the Regional Agricultural Marketing and Cooperatives Office (RAMCO), the Agricultural Sector of six eastern Dzongkhags, SNV and the RDC Wengkhar. Later the programme was renamed Vegetables Value Chain Programme for the East (VVCP-E). Substitute imports of vegetables thereby contributing to easing the Rupee crunch problem. The linking programme is governed by the contractual agreement signed between the suppliers (FGs) and the buyers (institutions). There are 152 FGs with 1,956 members (762 male & 1,194 female) under the VVCP-E, engaged in vegetable production and marketing. Out of 152 FGs, 101 FGs are linked with 48 institutions. Over the past five years, the groups have supplied a total 2,529.18 MT of vegetables, which translates to Nu. 47.633 million as detailed in the following table. Clearly, farmers’ cash income or savings in Rupee have increased through vegetable import substitution, as most institutions previously imported vegetables from India. The linking programme has proven to be the most effective way of marketing vegetables. It requires very minimal interventions from the government and generates mutual benefits to both FGs and the institutions—FGs have assured and sustainable market for vegetables while the institutions get consistent supply of fresh and nutritive vegetables. There still exists huge potential for the FGs to increase their vegetable production as they have not yet met the full requirements of the local institutions. For instance, the estimated consumption of 59 boarding and 47 day-feeding schools is approximately 1,467 MT of assorted vegetables annually equivalent to Nu.23 Million, which is much higher than what the FGs have been supplying over the past years. Finally, depending upon their maturity levels, the FGs need to be strengthened in three parameters to capitalize their full potential. First and the most important, the groups need to be strengthened in social capital (trust, confidence, harmony, transparency, etc.) as this is the foundation for groups to succeed. Second, the groups need technical capacity especially on staggered production so that they can produce quality vegetables throughout the season. And thirdly, the groups need knowledge and skills on agri-business or economics of vegetable production. This will enable them to appreciate and recognize vegetable production as a business. Crop damage by wildlife in Bhutan is a major constraint in agriculture production causing more than 80 percent crop loss. As such, the Ministry of Agriculture and Forests (MoAF) began promoting fabricated electric fence developed by the Agriculture Research and Development Centre (ARDC) at Wengkhar, which has demonstrated an almost 100 percent crop-loss prevention capacity. In the six eastern Dzongkhags, from 2013 to 2016, MAGIP supported the promotion of electric fence to protect crops from wild animals. Following a cost-sharing mechanism, the project supported fencing materials such as energizers, solar panels, high density polyethylene pipes and nails, while the community contributed labor and fencing poles, and the agriculture staff and researchers in electric fencing provided technical assistance. The fencing benefitted a total of 348 households (174 men and 174 women) across six eastern Dzongkhags, with the highest number of beneficiaries in Mongar (113 households) and the lowest in Samdrupjongkhar Dzongkhag (17 households). At about Nu. 1.51 million, a total 50.35 km of fencing has been established to protect an estimated area of 764.49 acres (732.49 dry land and 37 acres wetland). Electric fencing has significantly reduced crop loss and has thus contributed to food security. 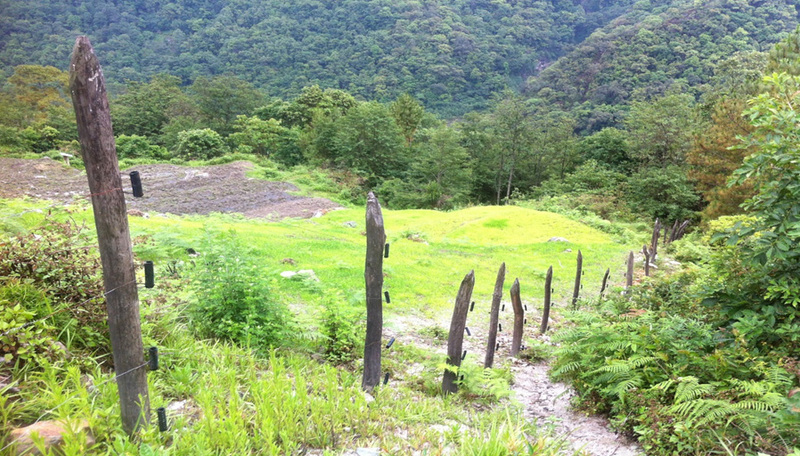 It has enabled farmers to revert 12 acres of fallow wetland in Mongar and 26 acres of fallow dry land in Trashigang. In places such as Zhadhi in Yangtse, and Wooliktang in Nanong Gewog in Pemagatshel, farmers have even started cultivating upland paddy, potato and other winter crops; while in Chali, Tsakaling and Shajola, Kengkhar in Mongar, farmers have started cultivating bulb onion and other vegetables after paddy harvest thereby diversifying crop production. Women farmers have been able to devote more time for socioeconomic activities such as household works and weaving, as they no longer have to guard their crops. One of the farmers, Aum Pema Choden of Shajola village in Mongar says it all, “…we now get time to relax and sleep in peace without having to worry about our crops.” In other communities such as Drepong, Chhali, Tsakaling and Konbar in Mongar, farmers have realized the benefits of electric fencing and have started to finance their own electric fencing. (Based on MAGIP Project Coordination reports, which in turn had received inputs from ARDC Wengkhar, RLDC Khangma and RAMCO).